Description: Clouded leopards typically weigh about 28 pounds and are about 36 inches long (not including the tail, which is usually 30 inches long). Their fur ranges from pale yellow to brown with darker cloud-like markings. They have relatively short legs and large paws. 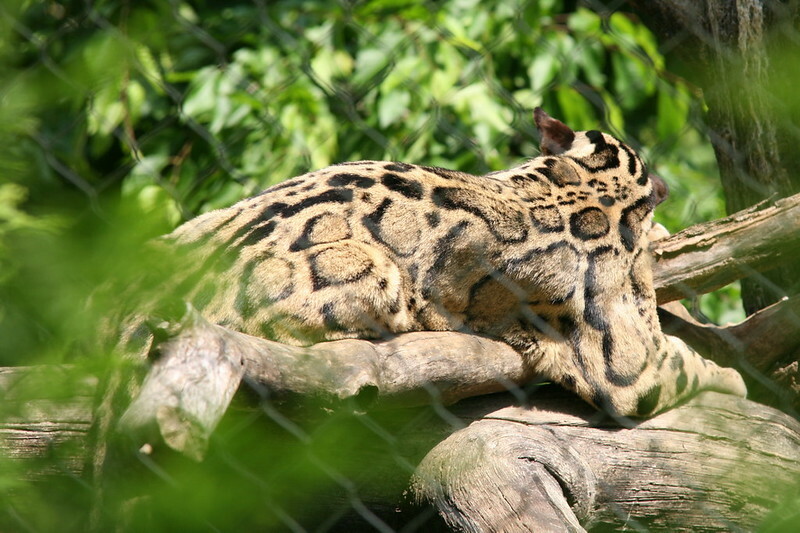 Clouded leopards’ long tails help them balance on narrow branches and jump safely from tree to tree. Image published by cliff1066™ on 2009-05-31 16:32:45 and used under Creative Commons license.